Working full time, even as an intern, is hard. There. I said it. 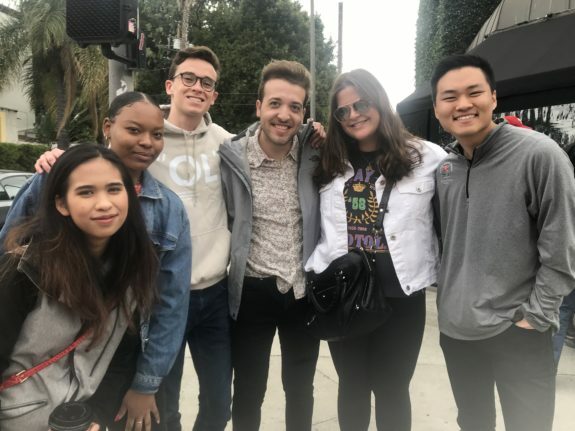 Working at The Ellen Degeneres Show is my dream job–I wake up in the morning excited to go to work and end my weeks ready for the next work week adventure. I am so proud of myself for how hard I have been working, but I have to admit, I am exhausted. A dream job, but a not-so-dreamy schedule. I have never been good at relaxing. I find it difficult to balance my work, my classes, my social life and my self-care. I wish I could write a blog post on the best tips for self-care, but I am still learning and I’ve realized that, out here in Los Angeles, I need to do a better job. Last week, my mom booked me an appointment for a massage, as I had a particularly hard work week. You know you’re lucky to have a mom like mine when she forces you to get a massage on the weekend. For those wondering, it was an amazing massage, and I highly recommend going to Sparadise in Los Angeles, if you have the chance. The night classes here are tough. The workload is manageable, but sitting for two and a half hours in a boring class after working on your feet for nine hours a day is another story. Yikes. I hate night classes to begin with, but night classes on a full work schedule? Forget about it. Interns have to stick together. I think the hardest part about working full time as an intern and having a full night class schedule, is not having time to eat. Man, have I been hungry. I now get excited for the weekend, just for the time to have a proper meal. Here’s one story: A few weeks ago I bought a pre-packaged salad at Trader Joes. I was in the middle of eating my salad, in my class, when I realized there was an unraveled paperclip in my salad. I had been chewing on it and cutting up my entire mouth. The entire inside of my mouth was bleeding and I felt something sharp. Now that I no longer eat packaged salads from Trader Joes, I am out of a food option for easy dinners in class. However, despite all of my complaining, there are so many pros to having this job and I am ultimately the happiest I have ever been in my life. 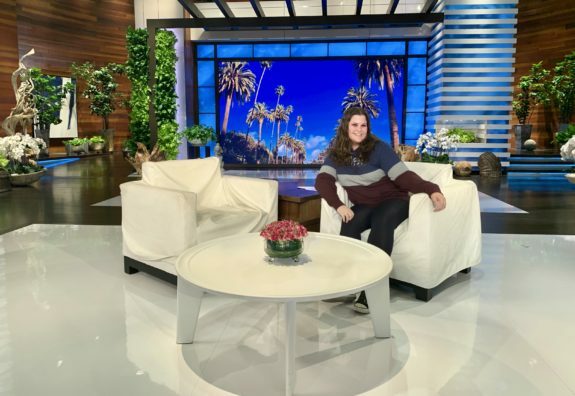 Like I said, working at The Ellen Degeneres Show has been my biggest dream come true. I was shaking when I had an interview. I cried hysterically when I got the job. Surreal is an understatement. Hard work truly pays off, so for me, it’s okay if I have to skip a couple meals because of classes. There is nothing better than spending my hours working with the kindest people in the world and I can’t wait to see where this journey takes me. 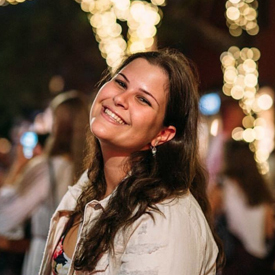 Hannah Petosa is a junior at Boston University majoring in film and television. She is currently studying in Los Angeles and interning at The Ellen Degeneres Show. When Hannah has a second to breathe, she likes to watch The Office, hang with her friends, and perform improv, stand-up, and sketch comedy. She is excited to continue exploring the West Coast.